“I recently had an elective procedure done with Dr. Alejandro. I am so pleased with not only the results but the entire staff at eláen Plastic Surgery Center in Mexico.” — Susan T.
Eláen Plastic Surgery and Hair Transplant Center in Mexico provides patients across the globe with the ability to improve their appearance using modern technology and the expertise of world renowned plastic surgeon, Dr. Alejandro Enriquez de Rivera Campero. Dr. Alejandro has extensive knowledge in cosmetic surgery and has practiced plastic surgery in Mexico for over 10 years. 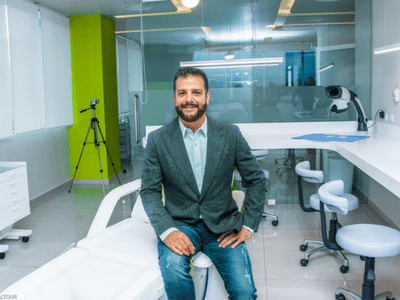 The top plastic surgery clinic in Mexico offers many plastic surgery procedures, such as FaceLift Mexico, Breast Augmentation Mexico, Nose Surgery Mexico, Tummy Tuck Mexico, and Laser Liposuction in Mexico. Body contouring is a combination of plastic surgery procedures intended to restructure the body proportions for a more aesthetically pleasing appearance. Body contouring concentrates on flabby upper arms, sagging buttocks and thighs, drooping breasts, and flaccid abdominal areas. You will need to schedule a consultation with Dr. Alejandro for him to conduct a comprehensive analysis of your physical and medical condition to determine if you are a good candidate for body contouring procedures. Introduction to eláen — Where do I Start? Although cosmetic surgery technically only modifies and improves a patient’s outward appearance, it can have a powerful effect on your self-esteem and self-confidence. Are you ready to transform your life? 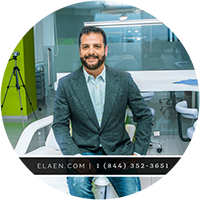 At eláen Plastic Surgery Center in Mexico, we provide a caring atmosphere that sets us apart from the rest. After your initial consultation and evaluation, you’ll receive personalized surgical recommendations tailored to your cosmetic needs.